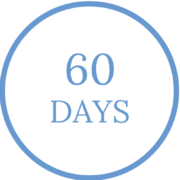 The programme was developed by Suzy Greaves, Editor of Psychologies Magazine, who has also been hailed by the Daily Mail as ‘the top ten guru to change your life around’ and Georgia Foster, an author and leading therapist, speaker and creator of the hugely successful ‘7 Days To Drink Less’ programme. Collectively, they have been in the self-help industry since 1995 learning pioneering techniques in human nature and how we think, feel and behave in ways that can hold us back when it comes to love. The Concept in a Nut Shell…..
You can do all the dating you want, but if your conscious mind has a different agenda to your unconscious mind, you will not find what you are truly looking for. Oh, and we might add, you may not recognise Mr Right in front of you because of past relationship issues that hinder your love success. The 21 Day programme will train your brain for love. You will use easy meditation tools and channel your thoughts in order to enter a state of deep hypnosis, allowing you to re-programme your thinking and learn how to attract a healthy relationship into your life. 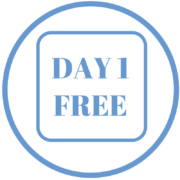 What the 21 Day Programme will help you discover…. Free Trial of Day 1. Absolutely free. Try it now!